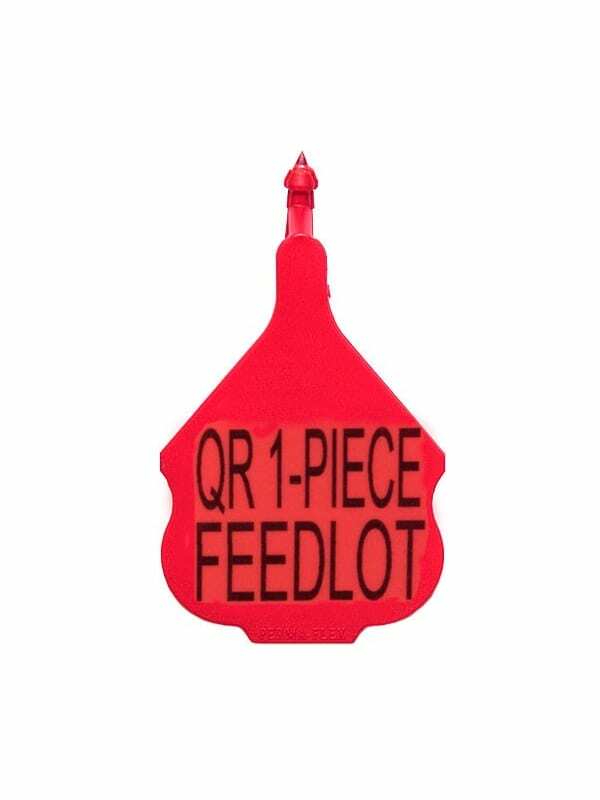 The quick release feedlot tags offers one-piece application without having to use a knife. The tag is applied with a standard ear tag applicator. The special configuration of the attached stud will penetrate the ear and hold in place. The quick release tag is available in eleven colors. There is plenty of room on this tag for large numbers or other custom information. Custom printing may take up to 15 working days. 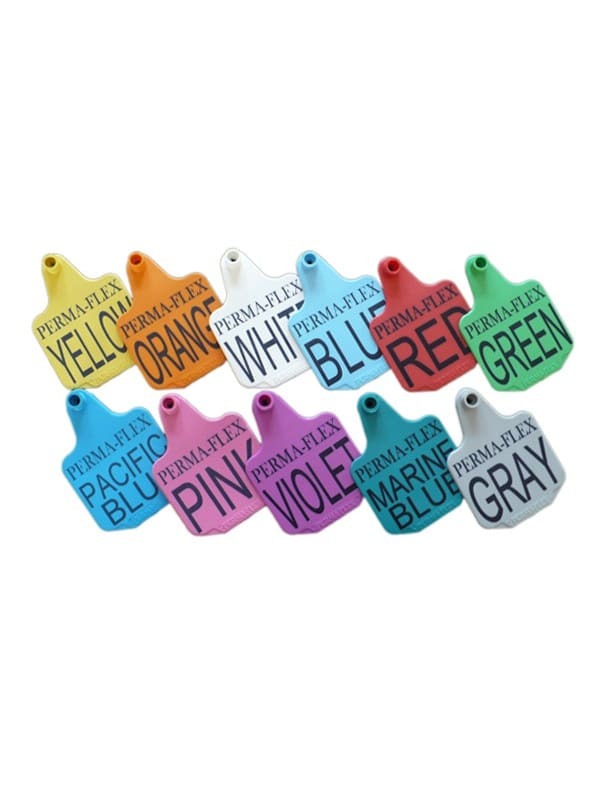 The Perma-Flex quick release feedlot tag is made of the same durable polyurethane as our regular cattle ear tags, but they don't have the same UV stabilizers which gives them a shorter lifespan. This tag is perfect for feedlots, or when only short term identification is needed. The tag will hold up well for a one year period. The quick release tag offers a one-piece application without having to use a knife. This ear tag has the stud connected to it and is applied with a standard tagger.